If you have a question about my work or just want to say hi, please fill out the form below. And if you’d like to hear more about THE PILLOW BOOK OF THE FLOWER SAMURAI or THE SAMURAI’S DAUGHTER or other of my future books, please check the updates button. PO Box 34642, San Antonio, TX 78265. 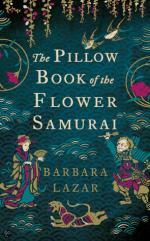 Check if you would you like to receive updates from me about THE PILLOW BOOK OF THE FLOWER SAMURAI and my future books.